While there is a huge choice of places to eat in Budapest, if you’re here for a number of days and dining out a few times daily, the cost can really add up. The key to eating well and eating cheap in any popular city is to go where the locals eat and avoid the touristy areas. 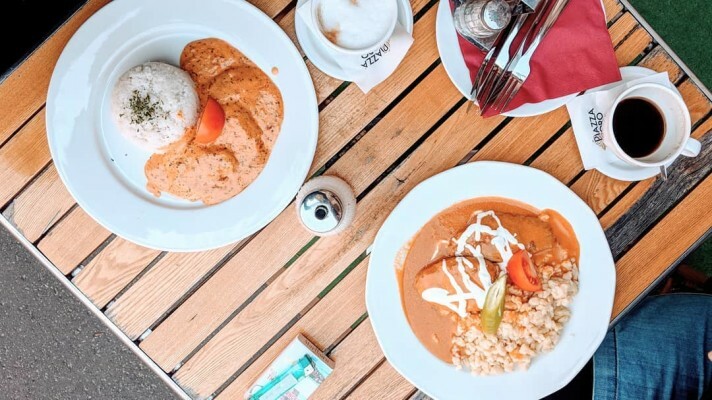 Thankfully, there are lots of fantastic places for delicious cheap eats in Budapest; whether you’re looking for a light lunch, hearty budget dinner, some grab and go street food, or even a romantic café or restaurant experience, we’ve got you covered! 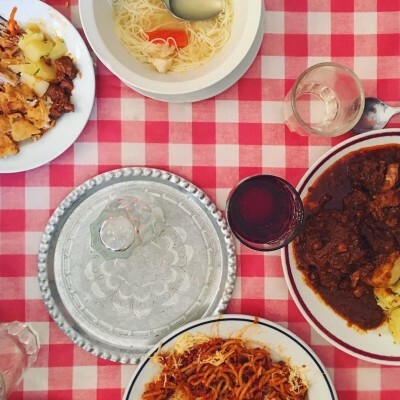 Here are our top x picks for cheap eats and budget dinner in Budapest. 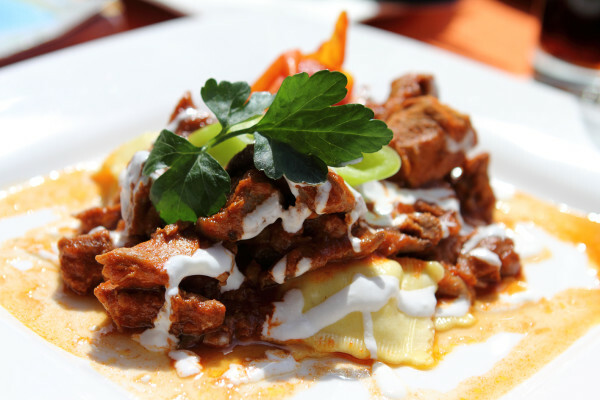 Kamra restaurant, near Liberty square, offers a self-service, buffet style option which is perfect for a substantial meal consisting of lots of traditional Hungarian food, such as goulash, Lángos, Halászlé, Somló dumplings and more. An extensive menu including delicious soups, stews, roasts, pickles, cheeses and desserts will leave you feeling absolutely satisfied, and with dishes starting from just 350 ft, a few cents over a single euro, to the most expensive item costing approximately €3.55, this place is a local favourite and will leave both your tummy and wallet full. Location: Chamber 1051 Bp. Hercegprímás u. 19. If you’re up in the beautiful castle complex on the Buda side of Budapest and find yourself feeling peckish, then a great place for a cheap lunch is Fortuna restaurant which offers self-service in the Hess Andras room on weekdays from 11:30 AM until 2:30 PM. Fifteen different traditional Hungarian and international dishes and desserts, each costing up to just a few euros. Tasty food and budget-friendly prices. Location: Hess András tér 4. 1014 Budapest, Hungary. Located very close to Stephen’s Basilica, the meeting point for all our free city tours in Budapest, Kisharang restaurant is a delightful traditional style restaurant specialising in hearty paprika-tinged homecooked meals, the kind of ‘grandma’s cooking’ fare that puts a smile on your face and warmth in your belly, simple yet delicious. It’s a small space, so table sharing is common, ideal for meeting some of the locals, and there is also street-side terrace seating outside in front of the intimate restaurant. It’s open until 20:00 and the menu is fairly substantial, both for traditional meat dishes and vegetarian & vegan options and, considering that it is in such a tourist-laden location, is exceptionally well priced. Top notch meals at more than fair prices, perfect! Location: Október 6. u. 17, 1051 Hungary. This restaurant, located near Blaha in the bustling Jewish district VII, serves yummy traditional Hungarian fare as well as traditional Jewish dishes, so it is an ideal spot for a cheap dinner in Budapest after our free tour of the Jewish quarter. The restaurant was founded in 1957 and little has changed in terms of the interior style and décor since; there are a real authentic traditional charm and familial warmth here that other restaurants could only hope to come close to replicating, and it has remained as popular as ever with local families and workers at lunchtime. The menu is good, the ambience is great, and the prices are very affordable. Location: 1072 Budapest, Klauzál tér 9. Vigadó is a typical Hungarian restaurant boasting more than sixty items on their menu spanning both Hungarian and European gastronomy. Located at Battyhany square, this restaurant doesn’t just have a variety of very tasty and affordable food (main courses cost around just €7) going for it, the ambience is also delightful, but the most appealing aspect of this restaurant for those visiting Budapest must be the exceptional view of the Parliament, a picture postcard scene which makes for a wonderful backdrop when dining on the terrace, especially at night when it is lit up and beautifully illuminated. 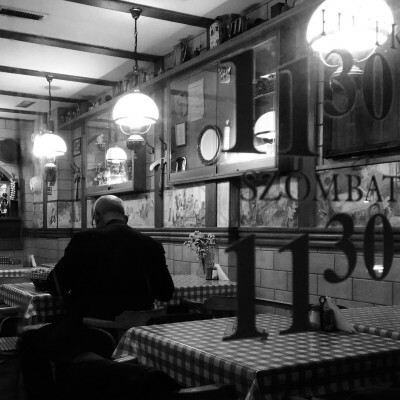 It’s open until 22:00, so is a nice option for a late budget dinner in Budapest. Location: Markovits u.4. Budapest 1011. Those five options above should have you well and truly covered for traditional Hungarian, and affordable, cuisine in Budapest; so here’s a quick list of other cheap bites in the city you might find handy during your trip. Bamba Marha Burger bar – huge, tasty gourmet burgers made from fresh organic local produce and home-made sauces for around €6 to €7, at multiple locations in Budapest, including on Andrássy Avenue, Basilica, and in Deák Ferenc square. Pizza Forte, Pizzica, and Trio Pizza - all sell tasty pizza, and do slices of pizza for less than €1, at multiple locations throughout the city. 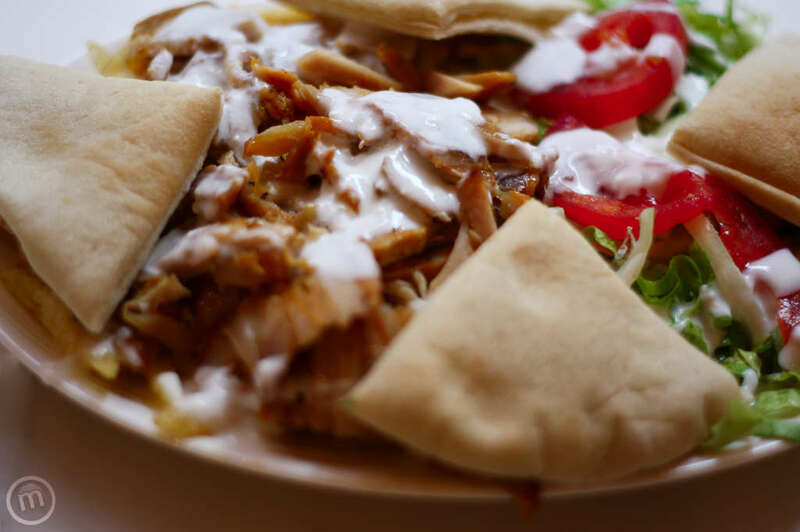 Street food Karavan Budapest - located in the Jewish quarter, this is a collective of more than ten different food stalls offering an array of choice from Vegan eats, to lángos, burgers, Mexican cuisine, pizza, pasta and even tasty waffles. Govindas – the Budapest branch of the international vegetarian restaurant chain operated by the Hare Krishnas has two different locations in the city centre, one of which is at Vigyázó Ferenc u. 4, 1051, and offers wonderful vegetarian and vegan cuisine, full of flavour and colour, nutritious, delicious, hearty, healthy and quiet cheap for the good sized portions. So there you have it, plenty of tasty ways to get your fill of food in Budapest for a fraction of the cost you’d expect to spend when dining out. Of course, don’t forget to ask your friendly lovely local city tour guide after your free walking tour for their recommendations for places to eat budget dinner in Budapest, we’ll be more than happy to talk you through all the different cafes and restaurants for cheap eats and even mark them on your free Budapest city map too. Happy eating, dear travellers.